Honda’s Activa has been taking the Indian scooter market to the cleaners for a while now, and the latest results for the financial year 2014-15 are no different, with the scooter hitting a massive one crore units sold. It owes all this success to another Honda though. 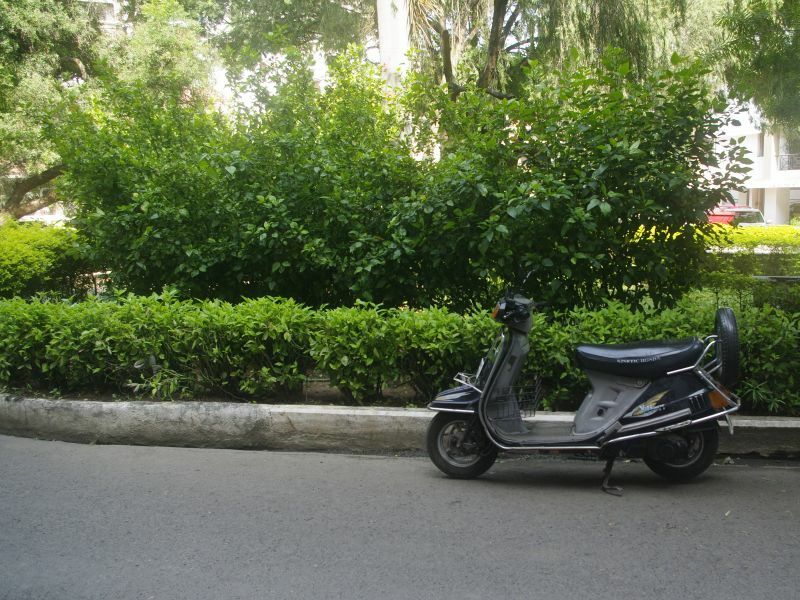 Only a half-Honda if I’m being honest – the humble Kinetic Honda from Indian scooting legend. This 98-cc two-stroke may not have been all flash, but it was still the go-to for any Indian family back in the day. In fact, my very own family fell firmly into this category, and I grew up with what was affectionately called the Kiney at the time (not to be confused with the Kiné, a scooter launched by Kinetic in the company’s latter years). I remember a time when, as a kid, much before I could even contemplate riding myself, my biggest joy in life came from hopping onto the back of our gleaming white family Kinetic and clutching on to the family member who had deigned (after much pestering) to take me for a ride. It was the absolute highlight of the day for me, even if I went for a spin every day of the week. My family soon identified me as a willing companion for rides short and long, and that, more than anything else, earned me the task of errand boy and holder-of-polythene-bags during the weekly visit to the market. Looking back, this is where the spark was lit. All those times little ol’ me was sitting on the scooter, goofing around and having an absolute blast is probably where my love for two wheels began. It was also the first two-wheeler I rode, and the one that taught me how to ride, gave me a glimpse of the freedom that only a bike can give, and genuinely moulded my future. So, not only should the Activa thank the humble Kiney for its contribution to the scooter market at large – for providing the platform and paving the way for its success, I too need to give thanks to these 98 ccs of what was then, to me, unadulterated cool. Maybe this particular auto-scribe wouldn’t have turned out as one if it weren’t for that peppy little thing and the impact it had on his childhood and early adulthood. So here’s to the good ol’ Kinetic Honda, a scooter like none other, and my first two-wheeled love.